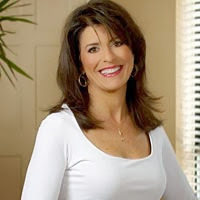 Holly Clegg Prepares for the Holidays! 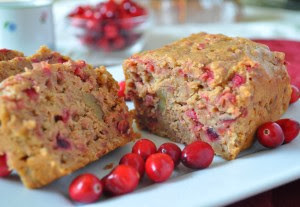 The holiday season wouldn’t be complete without my Easy Cranberry Yam Bread. Make ahead and freeze for all the extras in your house or make as a homemade holiday gift, a gift that keeps on giving. This quick bread takes advantage of cream cheese and biscuit baking mix for one of the easiest recipes ever. Make in mini loaf pans, wrap well and freeze to pull out for a quick and personal present. The naturally sweet and nutritionally packed Louisiana yams with the tart cranberries is the perfect seasonal recipe. Use cooked Louisiana yams or canned and remember 1 (15-ounce) can =1 cup yams. Cream cheese gives this incredible, yet easy, bread a rich flavor packed with the natural sweetness of Louisiana yams and a burst of cranberries. It will top your quick bread list. Toss in nus for added flavor and crunch. 1. Preheat oven to 350°F. Coat 9 x 5 x 3-inch loaf pan with nonstick cooking spray. 2. In large mixing bowl, cream together cream cheese and sugar until light and fluffy. Beat in sweet potatoes and eggs. Stir in biscuit mix, cinnamon, nutmeg, cranberries until just blended. Transfer to prepared pan. 3. Bake 45 minutes – 1 hour, or until toothpick inserted in center comes out clean. Cool in pan 15 minutes before serving.